What's The Risk Of Injury In Yoga? In this post we’ll wrap up a series of articles on our findings from our yoga survey project related to injury in yoga. Although our results indicate that yoga is not a high risk physical activity compared to many other physical activities, yoga is not risk free. So, if there is any possibility that we might get hurt, why do we practice yoga? We should recognize and acknowledge that yoga is a tool and we can use it in different ways. We might use yoga as a recreational fitness activity like aerobics, dance, or gymnastics, or we might consider it to be a complementary wellness therapy like physical therapy, massage, or chiropractic, or we could be using yoga as a practice to work with our own evolution of mindfulness or awareness. While certainly you could use the tools of yoga in more than one way, it’s important to note that the expectations for different uses of yoga are exactly that: different. The expectations of teachers change as well, with the way yoga is being used. This invites a conversation about our assumed and implicit biases regarding the purpose and methods of yoga practice. At some point, as the practices of yoga have increased in popularity around the world, yoga has assumed a particular bias. Yoga practice is often spoken about as if we have an expectation that yoga asana should be able to heal all things and be simultaneously 100% risk free. We don’t assign this kind of expectation to any other recreational activity or any type of complementary or Western medical therapy. We recognize that gymnastics and dance have potential benefits and risks. We recognize that medical practices, whether it be surgery or physical therapies, have potential benefits and risks. So, why do we assign this particular suite of expectations to yoga asana? If we are practicing or teaching a particular style of yoga, then we assume there is a value to the aspects of practice unique to that style. 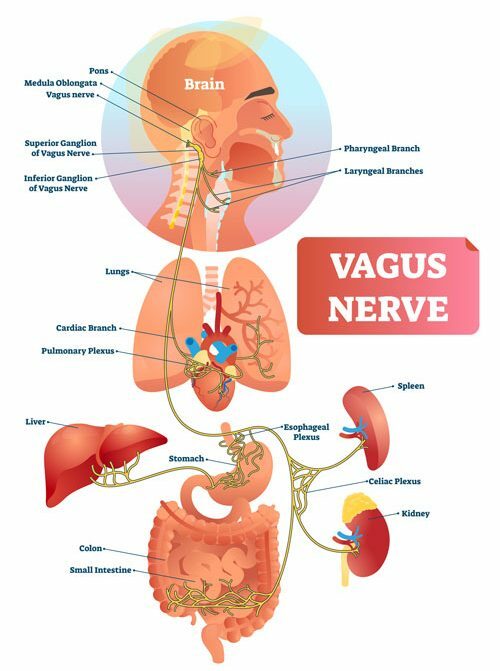 Those aspects might be a specific method of breathing, a sequence of postures, or an approach to how one moves through postures (with or without connecting vinyasa, for example). We practice, then, with the idea that the various aspects of the style come together in a method that is designed to “do” something or “take us somewhere”. It’s within our own biases about the hows and whys of practice that our actions as teachers and practitioners emerge. How we use the tools of yoga may increase or decrease our particular chances of having a specific kind of pain or injury in yoga. If we think an aspect of a yoga practice or style is effective at creating a change that we are looking to work towards through yoga, then we might be willing to accept some amount of increased risk of injury. For example, learning many types of inversions carries a risk of falling. If we want to learn headstand, then we might reduce the risk of falling by working with a teacher to spot us, or working on a wall, but the risk of falling still exists. If we felt like working with the challenge of learning headstand was important to us, then we would need to accept the risk of falling. If this isn’t a risk that we want to take on, then we would look for other options, perhaps practicing a different posture. Yoga asana is not inherently healing or injurious. It’s not inherently safe or dangerous. It is a tool. Yoga is neutral. It can be applied in any number of ways and in any number of situations. A shovel is also a tool. I can use it to dig a hole and plant a tree or I can hit someone with it. The qualities of these two actions are very different and neither of those qualities exist inherently in the shovel itself. The shovel is neutral. 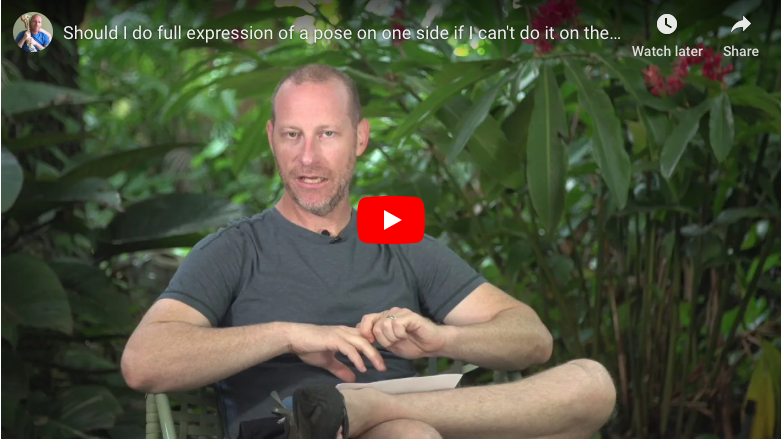 I think it is important for us as a yoga community to start asking better questions about what we are intending to use yoga asana for and how much risk we are willing to accept in that process. Yoga asana is physical movement. There is inherent risk in physical movement. The risk can increase or decrease depending on our specific situation as a practitioner and the specific yoga tools we are using. Are there contexts of practice in which risk of injury in yoga is greater or lesser? 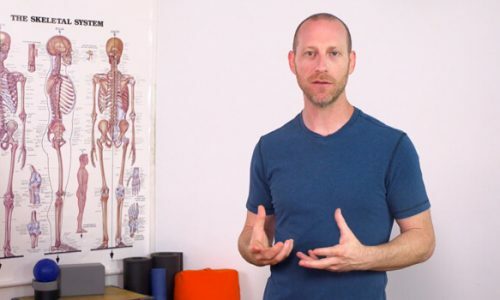 Where is there more or less risk for specific types of injury in yoga? 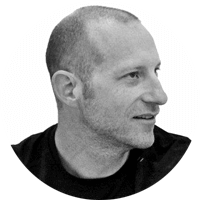 The answers to these kinds of questions empower us as asana practitioners to make more informed choices about what kind of asana practice suits what we want to use it for. It gives us information about ways and contexts in which we could potentially reduce the risk for injury in yoga, while still doing the practices that we find most beneficial for our particular use. Our first responsibility as a yoga community is to acknowledge openly and honestly that yoga asana is a physical activity. It is not risk free. From there we can look at the places where teachers can reduce the risk to yoga participants as well as the ways that yoga students can take responsibility for their own experience in yoga practice and yoga classes. As teachers we need to teach in a way that reigns in new students from over-enthusiastically doing too much practice too soon and thereby increasing the risk for repetitive motion injuries. We should consider how important it is to “fix” things in our students’ practices. Changing too much too soon can also be a problem, as students’ bodies need time to absorb and adapt to corrections. We also need to check our own over-enthusiasm for “taking students deeper” and injuring them via adjustments and assists. Let’s change the conversation around yoga and injuries to discuss the specific details that are relevant to each student and teacher in their own particular context. Each student who begins a yoga practice has a particular suite of needs and experience. Each suite of practice contexts (style of practice, length of practice, style of teaching, poses included, etc.) has its own particular risks. The answer to the question: Are people getting hurt in yoga? is: Yes, they are. A better question than: Can we make yoga risk-free? is: Where are the contexts in which there is greater risk in yoga? With that information we can both acknowledge and modify that risk as appropriate for each student that comes to the practice. Yoga is not risk-free. 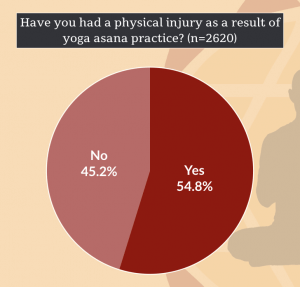 I’ll wrap this post up with some direct quotes from survey respondents describing the many, often unexpected situations, in which they experienced an injury in yoga.